Private. Peaceful. Polished. 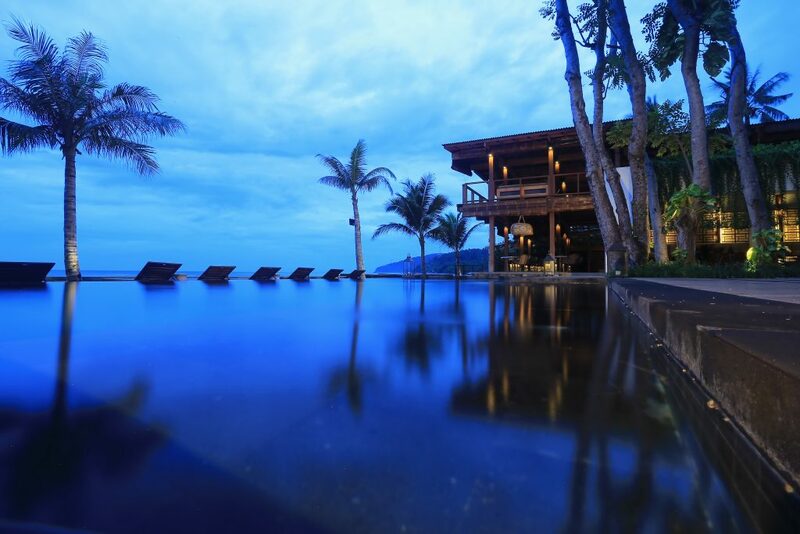 The newest addition to Jeeva Resorts introduces an unprecedented scale of luxury on Mangsit Beach. Jeeva Santai, “Peaceful Spirit,” is an intimate and luxurious selection of 14 villas and suites that provide guests a private retreat from the world. 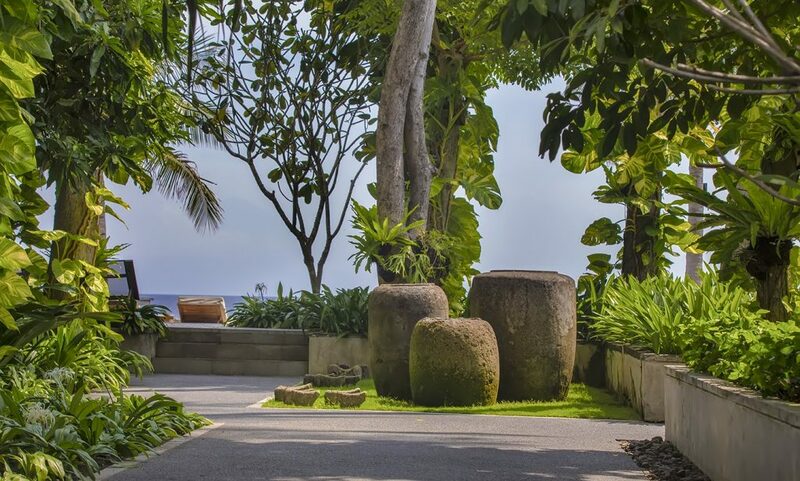 A peaceful oasis, Jeeva Santai is reserved for guests from the age of 13 years and above. Commitment to environmental responsibility is paramount at Jeeva Santai. From our salt water system pools, to our advanced water recycling system, we’ve incorporated environmentally friendly practices throughout the resort. 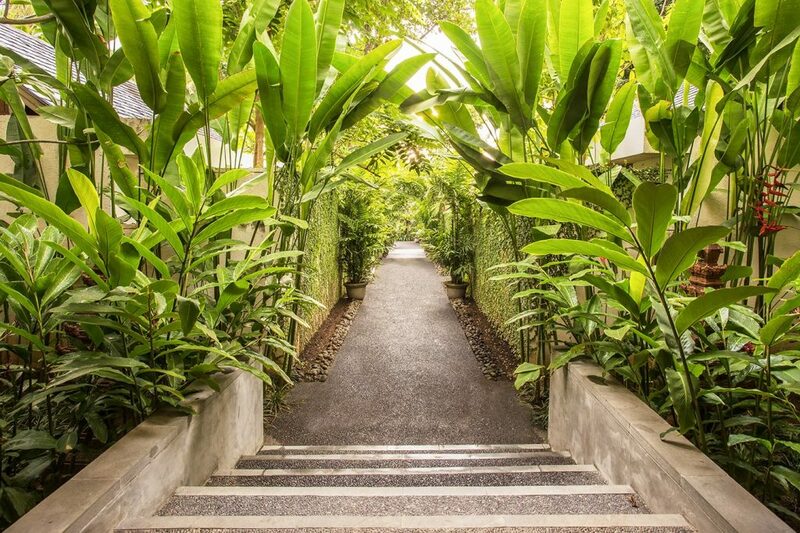 Unlike other resorts that recycle a portion of their water, at Santai we’re proud that we recycle all of our water, and our lush gardens prove that sound practices are beneficial to us all. Enjoy some of the best sunsets in the world from the Sunset Terrace at Pearl’s. With unparalled views of Mangsit Beach, the coast of Lombok and further across the Indian cean to the islands of Bali, the Sunset Terrace at Pearl’s is truly a highlight of Jeeva Santai. At any time of day or evening, the Sunset Terrace at Pearl’s is truly a special place to watch the world go by. The main 25 meter pool at Jeeva Santai is located next to Pearl’s with uninterrupted views of Mangsit Beach and the Indian Ocean. With only 14 villas and suites, there is always space and privacy around the pool area. Soak up the sun on the timber deck, pass the day on one of the three beach platforms, lounge on the white sand beach or take a dip in the pool, it’s all there for you. Concierge Service is available 24 hours in the Living Room reception area. Your Resort Hosts are on standby in the Living Room where you’ll find assistance from designing custom-tailored day plans, to arranging flights, cars and departures. Or just simply stop by for a chat about your holiday experience. Your Resort Hosts are dedicated to ensuring that your stay at Jeeva Santai is filled with happy memories. A casual open air library and lounging space where you can sit and relax over a cup of coffee and enjoy a dessert or some tapas. The library is stocked with a wide selection of books in various languages. Guests are free to enjoy the books in the library, at the sunset terrace or in your villa or suite. The library has full service for food and drinks and is the perfect place to enjoy an after dinner drink in the evening. Pearl’s is named in honor of Pearl, who opened the first hotel in Mangsit at Santai over 30 years ago. Pearl’s love of Lombok is reflected in every aspect of Jeeva Santai. 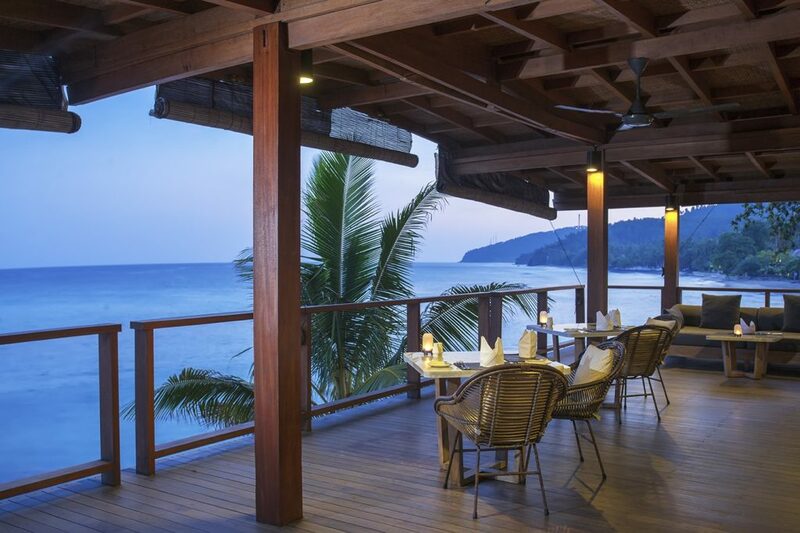 Pearl’s at Santai is a relaxed open-air restaurant and the center of daily life at Jeeva Santai. With the Library and Sunset Terrace, Pearl’s overlooks the swimming pool, the beach and the ocean beyond. Pearl’s open air style and casual dining attitude captures the best of Indonesia’s welcoming culture. Jeeva Santai guests are also warmly welcomed to dine at Jeeva Klui, our sister resort located approximately 1 kilometer from Jeeva Santai. Complimentary transport is provided between the two resorts. Jeeva Santai is a small resort. With only 14 rooms and villas, your resort host is happy to arrange a private dinner wherever you like at the resort. Many of the villas and suites have dining tables which can be set set up for meals either in your villa or in your private garden. Private dinners can also be arranged on the Sunset Terrace at Pearl’s, by the main pool or on the poolside white sand beach. The main Jeevaniya Spa is located at our sister property, Jeeva Klui. Complimentary transportation is provided for your convenience. Jeeva Santai has one double Jeevaniya Spa room located above the Living Room. The Jeevaniya Spa at Santai is for the exclusive use of Jeeva Santai guests. Jeeva Santai’s private pool villas are located in their own private gardens graced with oversized daybeds and large pools. 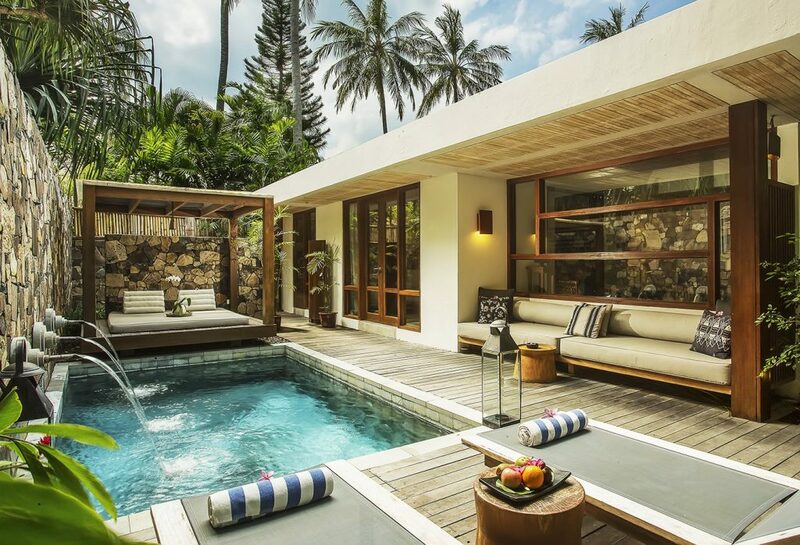 All of Jeeva Santai’s pool villas have indoor and outdoor showers and bathtubs. Most of the Santai Pool Villas boast large wooden decks and a private balai. The signature Deluxe Pool Villas all have a large wooden terrace and a private balai. Jeeva Santai’s two Beachfront Suites have direct views of Mangsit Beach, the Lombok Straits and the islands of Bali. The oversized suites have either a large terrace or balcony with a generously sized daybed for two. 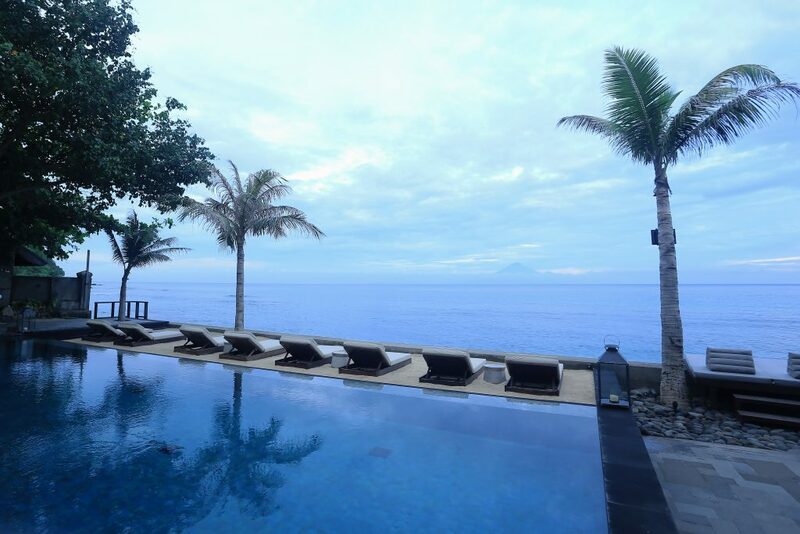 Jeeva Santai’s two Oceanview Suites have side views of Mangsit Beach, the Lombok Straits and the islands of Bali. The oversized suites have large terraces with daybeds generous for two. The ground floor suites have a large enclosed private garden with an open air shower and bathtub. Enjoy the views of Jeeva Santai.